Revive! 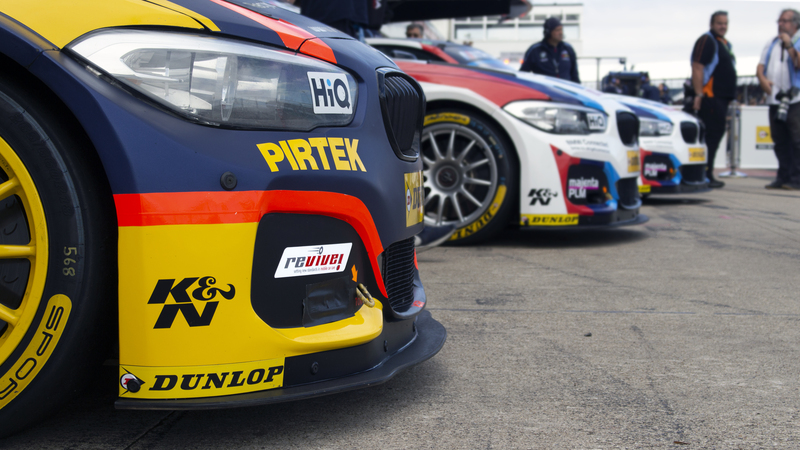 sponsored Andrew Jordan was left to wonder what might have been after a weekend of frustration during the penultimate rounds of the Dunlop MSA British Touring Car Championship season at Silverstone. Andrew headed into the weekend keen to try and maintain his bid for the championship title and produced an impressive performance in qualifying to put his West Surrey Racing-run BMW 125i M Sport on the third row of the grid despite the success ballast on his car. A solid start to the opening race saw Andrew quickly move up into the podium places and he was well positioned to pick up strong points for third place when he suddenly slowed with a throttle issue that ultimately forced him to retire. That left him at the back of the grid for the second race of the weekend but the 2013 champion was again able to fight his way forwards into the points despite losing the power steering on his car. Sadly, on-track contact then dropped him back to 22nd place, which left him with work to do on the less favourable hard compound tyre in order to salvage some points from the final race of the weekend. As it was, another solid drive saw Andrew race through to ninth to rescue a top ten finish from a weekend that had promised much more. Andrew now sits seventh in the championship standings heading into the season finale at Brands Hatch but is only 19 points away from the top three positions. “This has to be one of the most frustrating weekends I’ve had because we had a car that was so strong but haven’t been able to benefit from it,” he said. “We went a different way with my car and we were quick from the moment we hit the track, and to be P5 on the grid despite the weight put us in a really good place to score some strong points. “In the opening race, I was comfortable in third place and wasn’t taking any risks when we had an issue with the throttle body that put me out. Then in race two, I was battling an electrical issue that affected the power steering but was still on course to score until someone else turned me round. “Race three surprised me because the car was a lot better on the hard tyre than I expected and we came through strongly to ninth with some good overtaking moves, but that only heightens the frustration to an extent about what we could have achieved this weekend.